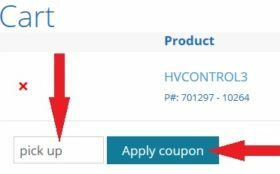 How do I claim the 10% discount for first purchase? How do I local pick up of my order? I need an urgent or overnight delivery? To receive the 10% discount off your first order, enter and apply the coupon code First at the shopping cart. To pick up your order from our warehouse, enter the Pick Up coupon code at the shopping cart. For local customers who require an urgent delivery, we can arrange courier, taxi or Uber delivery. For interstate customers, we can send by Toll Same Day or Toll Overnight. * Estimate based on standard delivery times between metropolitan areas of major cities. Standard delivery times exclude public holidays (unless otherwise indicated) and time in customs if applicable, and may be subject to delay due to causes outside of control.